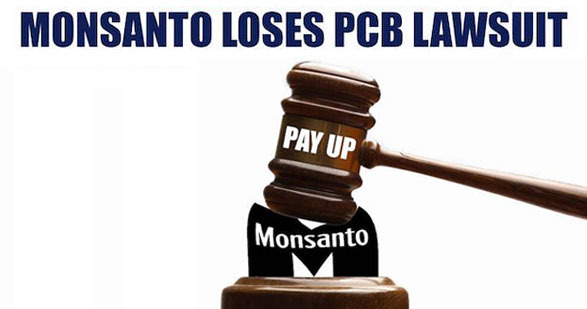 A St. Louis jury has awarded three plaintiffs a total of $46.5 million in damages in a lawsuit alleging that Monsanto and three other companies were negligent in its handling of polychlorinated biphenyls, or PCBs, a highly toxic and carcinogenic group of chemicals. Yeah but just wait, like usual it will get overturned in appellate court. Nevertheless, this is nice to see for a change! “Rare”? I’d say nearly unheard of. Hey Bayer, will you be paying that award if it sticks?